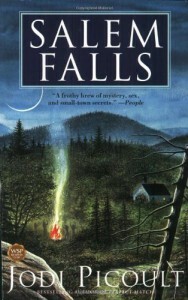 Among the contemporary writers, I also read recently 'Salem falls' by Jodi Picoult. What I liked about her is: she does not expose only the evils of the society; she also shows our strengths right next to our frailties. And, in terms of craft, this is an author who keeps us uncertain till the end, forcing us to read every line, because you never know how the end will turn out. I find Picoult has done a great job here, portraying a realistic story, in a way that is a balanced mix of good and bad, where everything does NOT turn out predictably. Another great writer I’ve appreciated is Tony Morrison. Although sometimes I have difficulty following her use of dialects, I think in ‘Shula’ and ‘Beloved’ she has really created some great characters, with some vivid descriptions and interior monologues.